Their desire to probe offers a window into the future for the administration. Congressional Democrats are zeroing in on Secretary Steven Mnuchin following the Treasury Department’s controversial decision to ease sanctions on companies linked to a Russian oligarch with ties to the Kremlin, with some raising questions about his personal business dealings and potential for conflicts of interest. Their focus: a decision the department announced Sunday easing sanctions against giant energy and aluminum companies tied to Oleg Deripaska, a sanctioned Russian oligarch. It's relief that Treasury officials first announced in December. Their desire to probe possible conflicts behind Mnuchin’s sanctions decision offers a window into the future for the Trump administration under a divided government, as House Democrats ramp up inquiries into administration decisions, with a special focus on actions that dovetail with the high-profile examinations of Russian influence in the campaign that swept Trump into office. Sanctions on a range of Russian interests, including the conglomerates tied to Deripaska, were announced in April in response to Russian interference in the 2016 presidential election, support of Syrian President Bashar al-Assad’s regime and activities in Crimea and eastern Ukraine. 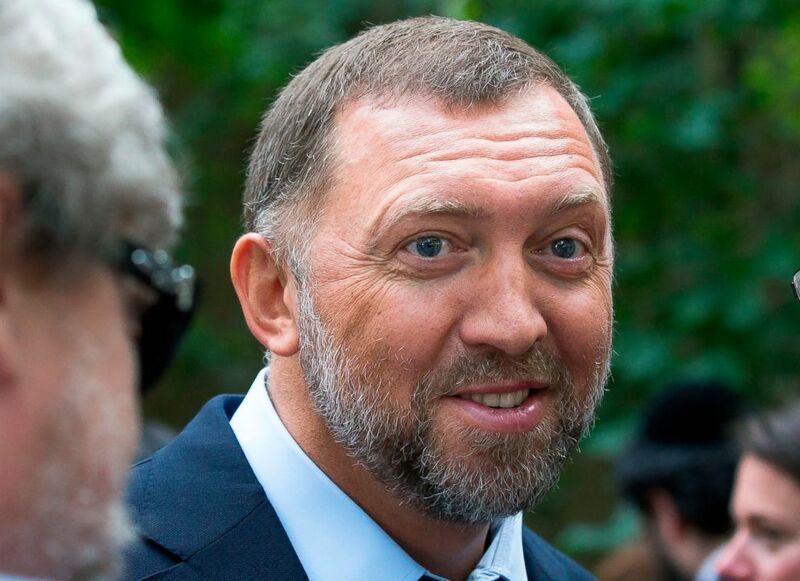 (Alexander Zemlianichenko/AP, FILE) Russian metals magnate Oleg Deripaska attends Independence Day celebrations at Spaso House, the residence of the American Ambassador, in Moscow, July 2, 2015. The Mnuchin decision to remove the companies tied to the Russian oligarch from the list has faced resistance ever since it was proposed. Earlier this month, the House voted overwhelmingly to keep sanctions in place, while a similar measure in the Senate fell three votes short of clearing the 60-vote threshold. On Tuesday, as Mnuchin moved ahead with the plan to lift sanctions, Democrats in the House wrote him to ask for "documents and records relating to entities and individuals who are affected by or stand to benefit” from the decision to remove the companies -- En+, Rusal and ESE – from the sanctions list. Sen. Mark Warner, D-Va., the top Democrat on the Senate Intelligence Committee, sent a similar request for information. This follows a request from Rep. Jackie Speier, D-Calif., who wrote to Mnuchin last week, raising concerns about a possible conflict of interest behind the Treasury actions, citing the secretary’s reported sale of his stake in a film company to Len Blavatnik, an associate of Deripaska’s, several years ago. “Given your business relationships with these individuals and your involvement in twice delaying sanctions, weakening the penalties, and eventually proposing relief from sanctions there is clearly a conflict of interest,” Speier wrote in her letter to Mnuchin seeking information about the transaction. The business relationship, though, remains murky. (Andres Kudacki/AP Photo) Treasury Secretary Steven Mnuchin speaks at a press briefing at the Hilton Midtown hotel during the United Nations General Assembly, in New York, Sept. 21, 2017. In a tweet, Tony Sayegh, a spokesman for Mnuchin, said Speier's concerns "are premised on false information." 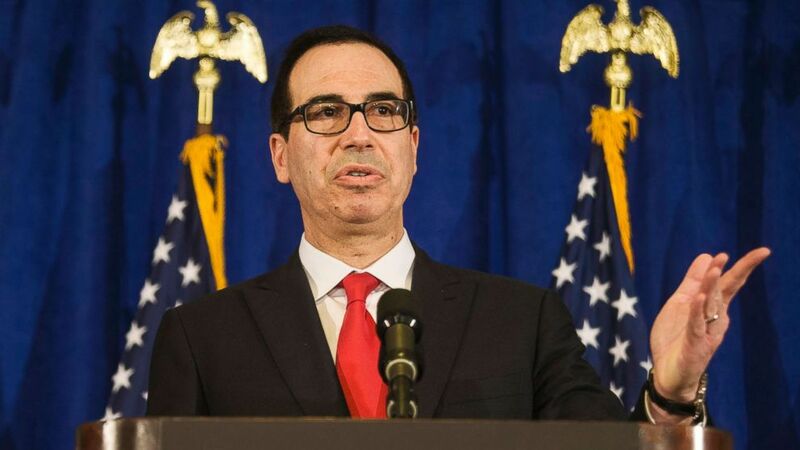 "As our response to her letter will make clear, [Secretary Mnuchin] had no business relationship with Mr. Blavatnik and any suggestion of a conflict is baseless," he wrote. We received the letter from Rep. Speier. Her concerns are premised on false information. As our response to her letter will make clear, @stevenmnuchin1 had no direct business relationship with Mr. Blavatnik and any suggestion of a conflict of interest is baseless. On Wednesday, several more lawmakers sought details about any business ties Mnuchin may have to Blavatnik. Rep. Elijah Cummings, D-Md., the chairman of the powerful House Oversight Committee, and Sen. Ron Wyden, D-Ore., the top Democrat on the Senate Finance Committee,wrote to Treasury seeking information on Mnuchin’s relationship with Blavatnik, and whether he sought ethics guidance or took steps to minimize potential conflicts of interest. Blavatnik, a Ukrainian-born philanthropist who holds American and British citizenship, belongs to a cadre of billionaires close to the Kremlin. Blavatnik holds a significant interest in RUSAL, the Deripaska-linked company that received relief from sanctions. Blavatnik served on the company’s board until shortly after Trump was elected. ABC News previously reported that Blavatnik, has contributed at least $383,000 to the Republican National Committee since late April 2016 and added another $1 million to President Donald Trump’s inauguration fund. Those figures include more than $12,000 that was later directed to Trump’s legal defense fund, as first reported by the Wall Street Journal. He did not give directly to the Trump campaign.